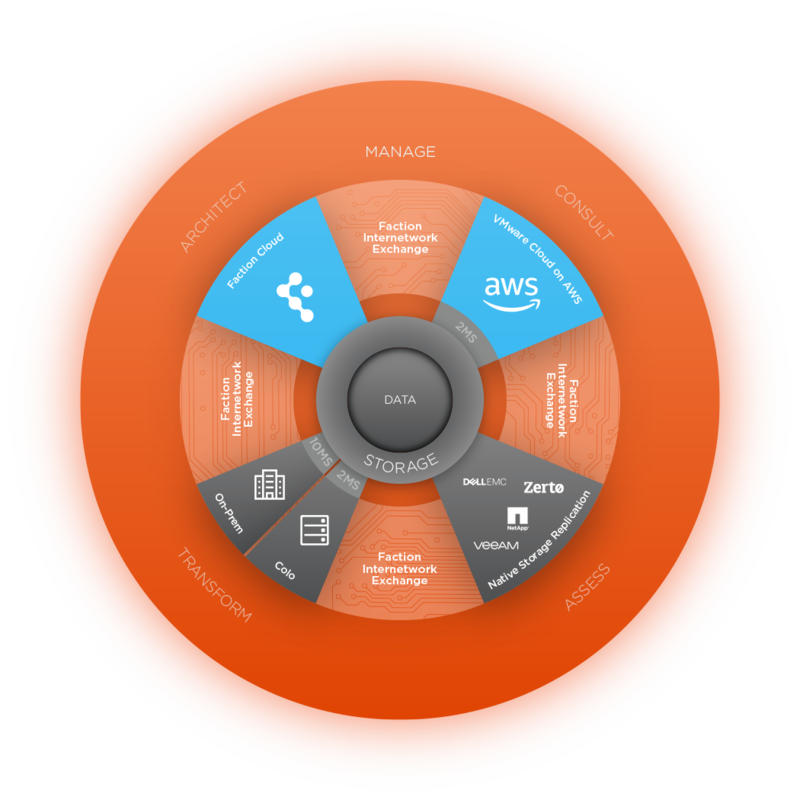 Faction brings together the best of IT into one multi-cloud platform as a service solution. United with VMware, Dell EMC, and NetApp, we’re transforming the IT industry with groundbreaking cloud-connected storage technology for enterprises and VMware Cloud on AWS customers. Combine on-prem, public clouds and third-party tools into one solution engineered to be the best fit for your organization. We empower clients by giving them maximum control in an unmatched multi-cloud environment that performs like on-prem, scales like public, and connects them like never before. Control the size of your environment and rest assured that you have all of the resources necessary, regardless of how you plan to scale up or down. Control your costs and the vendor you pick. If Faction is your vendor choice, you’ll never have to choose another provider because of cost. At Faction, you’re the one in control of your environment — we’ll never hold you hostage. We promise an easy transition in and out of Faction. Take control of your future. We promise a high-availability solution that ensures the health of your data and organization’s infrastructure. Control your resources with a one-hour guarantee for additions to existing blocs during business hours.